POLICE searching for a walker* who went missing in thick fog on Wednesday confirmed this morning that a body has been found. Stephen Gibson, 73, who had been walking near Rosedale Chimney Bank became separated from his group in thick fog. He was last seen at about 4pm walking along a path between Lastingham and Chimney Bank as fog and darkness descended. His fellow walkers raised the alarm at 7pm when he didn’t return to his vehicle. Search teams scoured moorland for any sign of him in appalling weather conditions and through darkness. Ryedale and Scarborough Mountain Rescue Team were joined in the search with Swaledale Mountain Rescue Team, RAF Leeming Mountain Rescue Team and Cleveland Mountain Rescue. The exhaustive search also involved support from the National Police Air Service helicopter and RAF air support and Search and Rescue Dog Association handlers and dogs from across the country. Mr Gibson, from Terrington near Malton, did not have any food with him or overnight equipment. 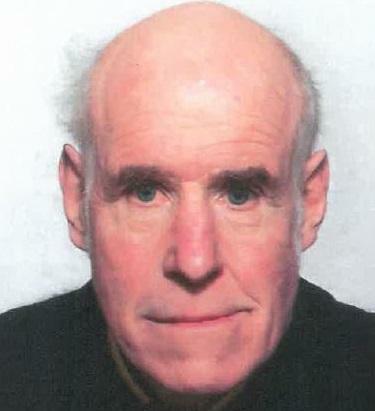 This morning North Yorkshire Police said: “Police searching for 73-year-old Stephen Gibson, who went missing on 11 November when out walking near Rosedale Chimney Bank, have located a body. “Officers recovered a man’s body near Cropton this morning. “Stephen’s family have been informed of the discovery. *Wildlife Guardian editor: All the press reports regarding this tragic incident, not just The Northern Echo’s, state that Mr Gibson was out with a “walking party” at the time. In fact Mr Gibson, treasurer of the Ampleforth Beagles, was out hunting with the Beagles in fog when he became lost, not a walking party. Not that it changes the sad outcome, but it did deflect criticism of the irresponsible actions of the Ampleforth Beagles.